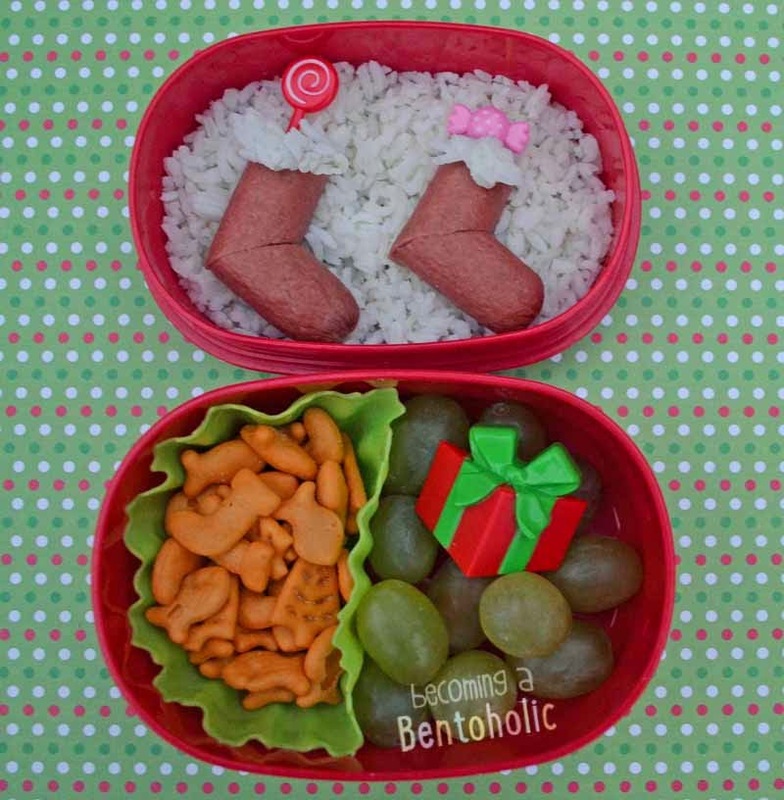 In this bento: Rice, Applegate hot dog stockings (lollipop and candy bento picks added for decoration), holiday shaped goldfish, and green grapes. The idea of the Christmas stockings came from Bento Monsters. She used little sausages to make her cute little stockings. Merry Christmas and Happy New Year! I will be back right before the end of the year with the annual "best of" round-up post.